I started work on an article about sunshine and its role in preventing and treating cancer. There was so much research about the health benefits of sunshine and vitamin D that I’m still digging through it all! While that’s coming soon, in the meantime, I thought it would be helpful to lay the foundation for why vitamin D is so important and look at the multitude of health benefits it provides. Vitamin D, the sunshine vitamin, has been getting a lot of press lately, and for good reason. While we have always known it helps with bone health as it facilitates calcium absorption, new research is proving that higher levels of the vitamin have an impact on immune health and protect against cancer, heart health, autoimmune diseases, depression, periodontal disease, diabetes and a host of other conditions. Many experts say increasing your vitamin D levels may be the single most important thing you can do to improve your health. And since Vitamin D is one of the few vitamins that has been proven in research studies to have health benefits as a standalone supplement, there’s no reason not to! So let’s look at why this vitamin is so important to our health. Interestingly, vitamin D is not really a vitamin; it’s actually a group of prohormones. The two major forms are known as vitamin D2, known as ergocalciferol, and vitamin D3, known as cholecalciferol. Vitamin D is one of the four fat-soluble vitamins, which means it is absorbed with the help of lipids (fats) in the intestinal tract. This means that without adequate fat present, the body will not absorb vitamin D. It also means that unlike water-soluble vitamins, which are not readily stored, excess vitamin D can be stored in fat and muscle tissue for future use. The vitamin D the body receives from food, supplementation or sun exposure is inert and undergoes two reactions in the body in order to become active. The metabolic product created from this process, calcitrol, is a hormone that is said to target over 2,000 genes. That is about 10% of all human genes; no wonder some call it the miracle cure! Vitamin D deficiency is so rampant now that a recent report in the British Medical Journal revealed the return of a condition common in Victorian times known as rickets. Rickets is a disease affecting growing children whose bones do not harden or set appropriately due to insufficient vitamin D. This once common condition disappeared in developed countries upon discovery that minimal levels of vitamin D would prevent it, but it has now returned. A new study recently published in the journal Pediatrics here in America revealed that as many as two-thirds of all children are deficient in vitamin D. Among darker-skinned populations the deficiency is even more rampant, with as many as 92% of black children being deficient and as many as 80% of non-black Hispanic children being deficient. According to the Vitamin D Council, however, the recommended minimum vitamin D dosage is actually much higher. 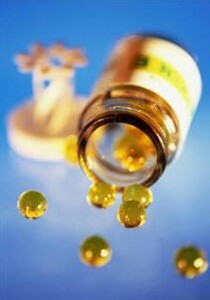 They cite recent research that indicates that below 100 nmol/L, the body uses vitamin D up as quickly as it is created. At between 100 and 125 nmol/L, some people begin to store vitamin D, but others do not. At 125 nmol/L, virtually everyone begins to store excess vitamin D in fat and muscle tissue. Vitamin D is used to support the immune system and protect against so many conditions that the presence of any health concerns in the body may well warrant a need for an increase in availability. If your body is fighting cancer or heart disease, or looking to recover after a strenuous workout, how much more vitamin D might you need? We don’t yet know those answers, but we can certainly imagine that there might be cases where the body needs much more. Whether you choose to follow the recommendations of the Vitamin D Council or to be more conservative and follow more traditional guidelines, it is likely that you need to raise your vitamin D levels. How Do I Measure my Vitamin D Levels? The only way to reliably know how deficient in vitamin D you might be is to have a simple blood test performed called a 25 hydroxyvitamin D test or a 25 (OH)D. Your doctor can do this easily and most insurance plans should cover it. Many doctors will still consider significantly lower numbers to be acceptable (keeping up with the emerging research can be a full-time job and your doctor already has a full-time job); if so, it will be up to you to share information and partner with your physician to find the right level for you. If your physician will not test you for vitamin D, you can order a test from the Vitamin D Council on its Web site. You complete the test and mail it back for accurate results (in all states but New York, which prohibits testing of specimens collected in or mailed from New York and prohibits data transmission from the lab to New York physicians or residents.) The test costs $65–or $220 for four if you want to test periodically or test more than one family member. The tests will tell you your current levels, but from there you will need to figure out how much supplementation you require to get you to where you want to be. Generally speaking, we know that the darker your skin, the bigger you are and the less daily sunshine you receive, the more you will need. While current FDA guidelines suggest a vitamin D level of 400 International Units, or IUs, per day, many researchers and physicians have increased their suggested optimal adult vitamin D level to around 5,000 IUs per day. I have also seen a formula used that indicates a body needs 35 IUs per pound of body weight, which allows for variance for children and heavier people. Supplementation at the 5,000 IU level has been shown to bring vitamin D into the desired nmol/L range for many people. But because vitamin D is used to fight cancer, regulate the immune system and myriad other functions, there can be a need for much more depending on what is going on in your body. Some studies have revealed that certain individuals need as much as 25,000 to 30,000 IUs just to reach a consistent rate of 125 nmol/L! Unless your climate remains constant year round, you will probably want to test in summer and in winter to get a sense of the shifts in your body and how the season changes affect your dosage levels. People who avoid the sun as well as those with darker skin pigmentation will likely need to increase their dosage, especially in winter. According to the Vitamin D Council, even at the new recommendation of 125-200 nmol/L (much higher than most doctors will be familiar with), those ranges are still very conservative. But because excess Vitamin D is stored in fat and muscle tissue, there have been concerns about toxicity from over consumption. While we should always be aware of such possibilities–and that is yet another reason to work with your doctor and get tested regularly–the risk of toxicity is much less than previously believed. Because the body is geared to produce very high levels of vitamin D from our daily sun exposure, we have the capacity to absorb very high levels. Typical summer sun exposure of 20 minutes (without sunscreen and with face, arms and legs uncovered) yields 20,000 IU of vitamin D. We didn’t have sunscreen until recently; our bodies were built to be in sunlight for much of the day (building up our sun exposure to prevent burning of course.) So we are engineered to produce and absorb very high levels of vitamin D. And we also have a built-in safety mechanism: After the body produces about 20,000 IUs of vitamin D, the sunlight, begins to break it down, preventing the body from excess. And once we are tan, the body naturally adjusts and makes less, producing only about 10,000 IUs. But oral consumption is different: Can we overdose on vitamin D? While pharmacological overdoses of vitamin D2 have been documented, the same is not true for vitamin D3. Research conducted to determine toxic excess in animals revealed that the dose of vitamin D3 it takes to kill half the animals when tested in dogs was about 3,520,000 IU/kg. (Yes, sorry, they did in fact test this on animals.) That is estimated to be about 176,000,000 IUs taken by a 110-pound human. Leading researcher Dr. Reinhold Vieth suggests that toxicity may possibly begin to occur after chronic daily consumption of 40,000 IUs a day. Clearly there is a great deal of room between the minimum guideline of 5,000 IUs and long-term daily consumption of 40,000 IUs. The body needs several substances to utilize vitamin D appropriately. These co-factors include magnesium, zinc, boron, vitamin K2, genestein and a small amount of vitamin A.
I believe many people are magnesium deficient (because calcium and magnesium partner together and so many people supplement calcium but neglect magnesium–I’ll discuss magnesium more in a future newsletter) and because of that, magnesium is an important consideration in vitamin D supplementation. If you struggle with reaching optimal vitamin D levels after supplementation, a magnesium deficiency could be the reason why. At the same time, as you supplement with vitamin D, any existing magnesium deficiency could be exacerbated. So paying attention to the co-factors, especially magnesium, is an important component of successful vitamin D absorption. The best way to increase vitamin D in your body is through sunshine. Exposed skin in summer sun for 20 minutes will give your body its daily dose. But unless you live in southern Florida, you won’t be able to get what you need year-round from sunlight alone and you’ll need to supplement, at least during winter months. But thankfully, now the the summer season is upon us, exposed arms and legs for 20-30 minutes a day will do the trick for most of us, though darker skin tones may require longer exposure. Tanning beds emit both UVA and UVB rays. However, the body is only interested in the UVB rays for vitamin D synthesis. UVB rays are shorter and affect the surface layers of the skin and as a result, can cause sunburns. The dark tans that come from tanning beds result mostly from UVA rays. Therefore, most tanning salons calibrate their beds to produce mostly UVA rays (often as high as 95% UVA) and minimal UVB. It is possible to get vitamin D from foods such as salmon (wild sockeye is best; not farm raised), mackerel, herring, sardines and catfish. But a standard portion of these foods will only yield about 250-350 IUs, so you’ll have to eat a lot! Choose a brand that has been tested and found to remove contaminants such as mercury and PCBs, which can be present in fish. Cod liver oil, however, also contains vitamin A, another fat-soluble vitamin that some suggest has toxicity concerns at high doses. I believe that in time research will show that–similar to vitamin D–high doses of vitamin A from natural sources are safe. For now, if you have concerns about excessive vitamin A, rather than quadrupling the dosage of cod liver oil to get to 5,000 IUs, you’ll want to consider D3 supplementation through pills, sprays or oils. Studies show that vitamin D2 is only about 20%-40% as effective in supplementation as vitamin D3. Many over-the-counter vitamin D supplements–and virtually all prescription forms–contain vitamin D2. But D3 (cholecalciferol) is widely considered to be a more effective source, so read the label carefully. And don’t be afraid of 15-20 minute breaks in the sun without sunscreen (we’ll talk about the myth that it will cause skin cancer in another article). Your body has existed in the sun for many many thousands of years. We are built to synthesize sunlight safely in small doses.) You will feel energized and renewed and many systems in your body will be thankful.